Dental crowns are frequently used in dentistry for many reasons. A crown can protect a tooth that is very damaged or decayed, hide a large filling, restore a broken tooth, or cover an unattractive tooth. 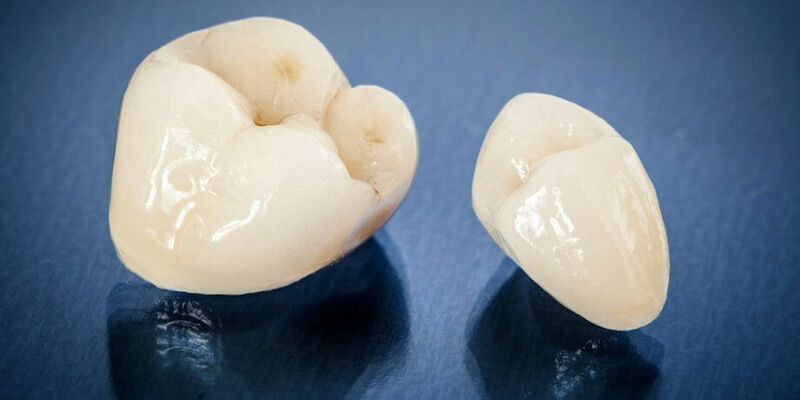 Durable and long lasting, crowns can be an excellent alternative to tooth extraction, but like any other dental procedure, dental crowns have pros and cons. Crowns preserve tooth structure when compared to such alternatives as dental bridges. We will remove only the damaged portion of the tooth, placing the crown over the remaining healthy structure. However, since the nerve system stays in place, a crown may not solve problems related to sensitivity to cold, heat, or pressure. The prognosis for dental crowns is generally good. The crown is a protective cap that can reduce the risk of future decay. However, the remaining tooth structure is not as strong as a completely healthy tooth. There is the possibility that bacteria could invade underneath the crown, leading to further decay and more dental work. Scrupulous oral hygiene can help reduce this risk. CEREC Crowns: Milled in the office from dental porcelain, CEREC crowns can placed in a single appointment. Your dentist will take digital impression, and then use 3-D CAD (computer aided design) technology to create your new crown. Your tooth is prepared and your final crown placed all in the same day. Porcelain Crowns: Traditional porcelain crowns are made in a dental lab. They are often more aesthetic than CEREC crowns, because human artisans can perform techniques that computers cannot. However, you will need to sit through traditional, gooey impressions, and then wear a temporary crown for several days until your new porcelain crown is ready. Porcelain on Metal Crowns: Sometimes considered the best blend of aesthetics and function, porcelain on metal crowns consist of a metal frame covered with dental porcelain. However, these crowns are not the best choice for front teeth, as the metal frame can cause a dark line at the gums. They also require the removal of more tooth structure. All Metal Crowns: Gold and other metals can be used to create cost effective, extremely durable crowns. These are an excellent choice for the back teeth, especially if you tend to grind your teeth. However, unless you happen to be a fan of the distinctive look, they are not typically used for front teeth. Dental crowns are highly useful for many dental situations. Like anything else, though, they are not always the best solution. If your teeth are failing badly, you might prefer tooth extraction and replacement. If you have multiple decayed or damaged teeth, you might choose dental bridges, which are less costly than individual crowns. What to do about bad teeth is a big decision that you should undertake only with a great deal of consideration and discussion with your dentist. If you are ready to start your journey to dental health with a skilled and compassionate dental team in the Boston area, contact Main Street Dentistry & Orthodontics today at 781-396-6900 to schedule your first appointment.